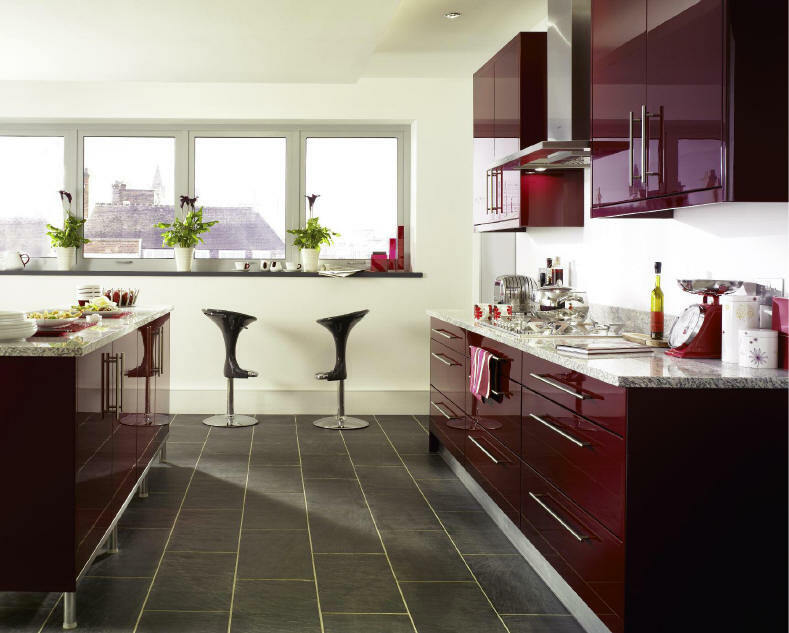 Burgundy, full-bodied red wine tones create a truly opulent look in rich gloss. Set the trend with this clean and fashionable kitchen, perfect for the urbanite in you. Shown with aluminium effect cabinets and stainless steel plinths to create the definitive crisp minimalist look.